THE J RAE CHRONICLES ARE TEMPORARILY UNAVAILABLE. ARAL IS CURRENTLY HARD AT WORK WITH EDITORS FOR FUTURE PUBLICATION. ​THE J RAE CHRONICLES WILL BE RE-RELEASED EARLY 2019. "For the first time in a long time, I have actually gone back to the start and read it again. Aral really brings you into her world and doesn't do all the thinking for you." "It kept me awake all night. A night worth spent within the ruins of the New World Order, the fast paced brutal action packed storyline, the abilities of characters and J-Rae." 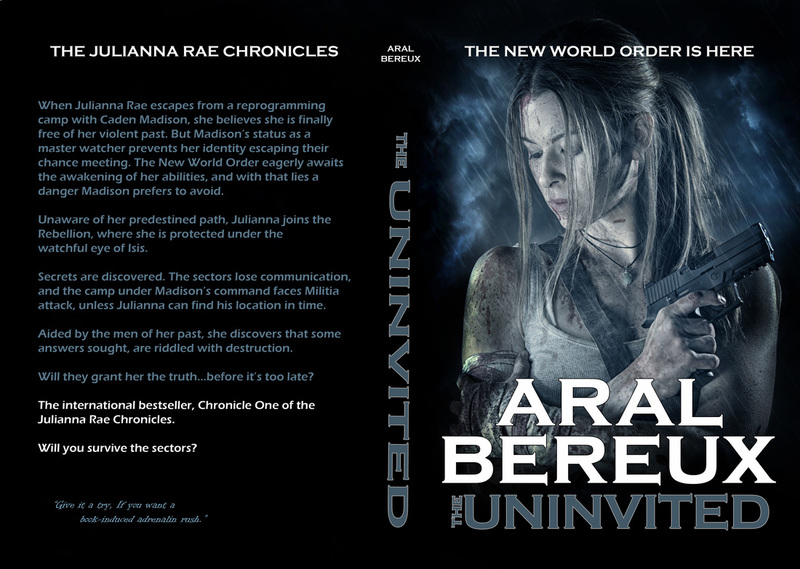 "If you are looking for gritty new urban fantasy, The Uninvited is well worth a look. I'm looking forward to Chronicle 2!" "This is a great read. It's got a good fast pace with a number of twists and turns that kept me interested right up to the end. I enjoyed the whole series and recommend it to everyone who is into action with a bit of suspense."